1.7 7. 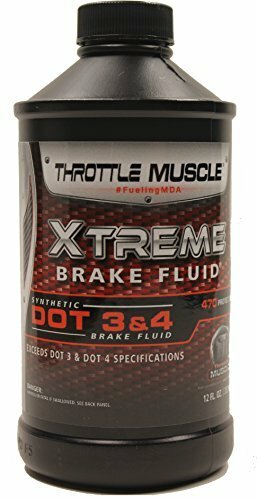 Motor Medic M4032/6 DOT 5 Silicone Brake Fluid – 32 oz. 1.12 12. MAG1 120 Premium DOT 3 Brake Fluid – 32 oz. 2.1 Why Is Brake Fluid Important? 2.2 How Does Brake Fluid Work? 2.3 Why Change Brake Fluid? 2.4 How Do You Check Brake Fluid? 2.5 What Are The Different Types Of Brake Fluid? 2.6 What Is The Difference Between DOT3 And DOT4 Brake Fluids? Many people have the brakes on their cars inspected and worked on as part of their routine car maintenance. That is a good idea for something that is as important to your safety when driving as your brakes are. What is surprising is that many people have no idea what type of brake fluid they use in their cars. It is something that every driver should be familiar with because just like there are different quality oils and gasses you can put in your car, so too is there different qualities of brake fluid. In these brake fluid reviews, we will give you a little more information about brake fluid, its important role in your brake system and review some of the brake fluid types in the auto supply marketplace. Here is a great brake fluid that easily can perform as a racing grade product. You will be hard pressed to find a brake fluid that holds up as well as this one under high heat conditions. It can mean all the difference in your stopping ability if you like to travel at high speeds. Even normal driving braking will be enhanced by this brake fluid too. Castrol has really stepped up their game with this brake fluid product. It not only has an exceedingly high boiling point but will also protect against many other high heat brake fluid problems too. This brake fluid meets or exceeds all DOT3 and DOT4 specifications. We here are big fans of synthetic type car fluids which this one happens to be. Synthetics seem to not break down as easy under high heat conditions. This brake fluid will also help to prevent vapor lock under high heat conditions too. This brake fluid is one of the most expensive on our review list of the top brake fluid brands. It may not be necessary to spend this much on brake fluid for what is considered normal driving conditions. Just as synthetic motor oils have proven to be superior in most cases to conventional motor oils, so to have synthetic brake fluids proven to be superior to conventional brake fluids. That is why this product from Motul has become so popular over the years. It is a very high-quality brake fluid, to say the least. This premium brake fluid is so good that it is the choice for many race teams to use in the brake systems of their high-performance cars. It is made to exceed both DOT 5.1 and DOT 3 brake fluid standards. We really like the fact that this brake fluid does not break down easily when it gets hot. It’s no secret that when brakes get super-heated it also superheats your brake fluid and that can be a big problem when you go to stop. No worries with this product because its boiling point is a very high 594 degrees Fahrenheit (312 Celsius). Without a doubt, a big concern with this product is its high price. Even 500 ml of it commands a pretty good penny. Keep in mind also that if you have a car that is driven lightly it may not be necessary to have a top line brake fluid like this product in it. Lucas has long been a trusted name when it comes to automobile fluids and oils. This product certainly does nothing to hurt that type of reputation. It is a quality synthetic brake fluid that will hold up well under both normal and excessive driving conditions. This a full synthetic blend of brake fluid which is what makes it so good. It’s one-quart bottle size also makes it an exceptionally priced buy as far as superior type brake fluid products go. It meets or exceeds all DOT 4 brake fluid standards. We really like the lubricating aspect of this brake fluid. Lucas did not just emphasize protection against high heat brake conditions. This brake fluid also protects against rust and other forms of corrosion, plus it also helps prevent the seals wherever it is used for breaking down also. A real nice price point for the size container too. There are some that feel this brake fluid should not be used under extreme heat conditions. That means it would not be ideal for use in high-performance street cars or in cars that race on the track. This is a really good and affordable brake fluid that Pentosin has come up with here. This is a brake fluid that performs better at higher operating temperatures than most factory brake fluids are made to do. It will help decrease your stopping distance when traveling at speeds that put more heat into your brake system. 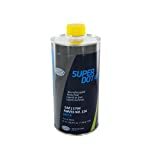 A quality approved DOT 4 brake fluid that will run well in many domestic and foreign made vehicles. This item has a really nice price point that it is sold at. It was one of the least expensive brake fluids on our list. It is a thick brake fluid so it also resists penetration and absorbance by water. A few of us liked it even more because it is not mass produced in China like so many other brake fluids. This product did not have as high a wet boiling point as some of the other DOT 4 brake fluids that we took a close look at. 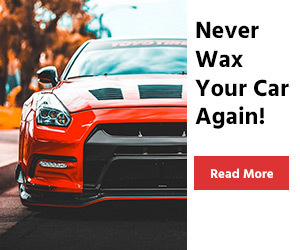 That means you probably do not want to use this in a high-performance car or one that you will race. This is a very nice grade brake fluid that Red Line manufactures. 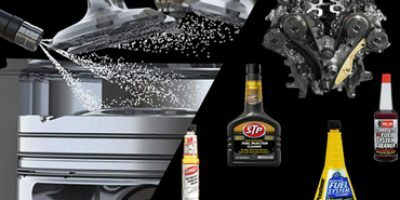 They are a company that has long been known to make quality lubricants and fluids that are good enough to use in high performance and even vehicles that are raced. That alone tells you how good this brake fluid performs even under high heat conditions. It is a brake fluid that will work well in not only high-performance cars but in any car brake system that you choose to put it in. We really like the high heat resistance that brake fluids like this one have. If you are driving a race car or other high-performance car you need the brakes to perform well in order to slow you fast. Some brake fluids have their stopping power reduced when they get hot but not this one. For one thing, this brake fluid is a little on the expensive side no matter how well it performs but then again it is hard to say anything is ‘too expensive’ when it comes to your safety. But it must be noted that not all vehicles require this very high-quality type of brake fluid. This is another good company as far as quality lubricants and auto fluids are concerned. They have a nice reputation for making products that do a good job protecting vehicles and making then function better as they are driven. This excellent brake fluid keeps with that tradition. 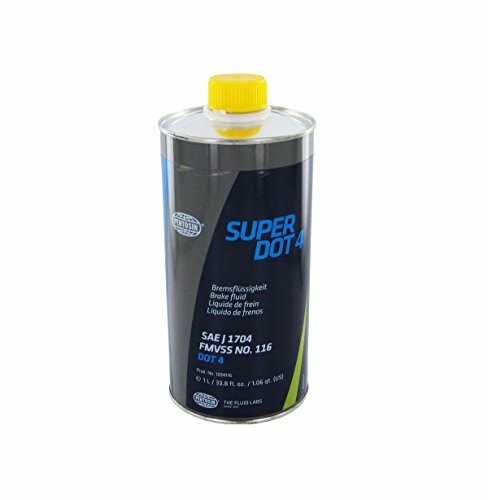 This is specifically made to handle the brake fluid needs of many European-made cars but it will work nicely in any vehicle that can use DOT 4 fluid in its brake lines. 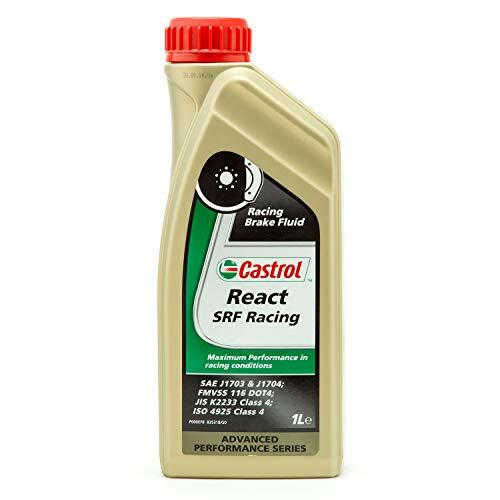 This is yet another racing quality brake fluid that is found on our review list. It has absolutely incredible water binding characteristics that will help prevent vapor lock and it also has an extremely hi wet and dry boiling point. It is a brake fluid that will serve any regular or high-performance car well. For starters this is a product that can only be used on those brake systems that require a DOT 4 brake fluid; that means not all cars can use this product. Once again the downside with ultra-high performance break fluids is their very high price for the amount you get. 7. 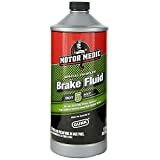 Motor Medic M4032/6 DOT 5 Silicone Brake Fluid – 32 oz. This product is made by the same people that manufacture the highly popular engine cleaner ‘Gunk’; they are known for making an outstanding engine and brake system products. Motor Medic has come up with an exceptional brake fluid here. It is a water repelling, high heat resistant brake fluid that can be used in any vehicle that takes DOT 5 brake fluid. This is a very good synthetic blend of brake fluid that stays working well even under high heat conditions. This stuff does not absorb water at all no matter what amount you get on it; that means you don’t have to worry about vapor lock at all with it. Its high boiling point also makes it ideal for use in high-performance cars and vehicles that are used for racing. One thing that really jumps out at you with this product is the price. It is one of the most expensive brake fluids on our review list if you go by cost per weight. It also absolutely cannot be used in any regular braking system that features antilock brakes. Do you want a brake fluid that goes well beyond what SAE and DOT fluid recommendations require? Than Wilwood has exactly the brake fluid you are looking for here. They do not make much higher quality brake fluids for racing than this one. The boiling point of this product is very high, to say the least. It has a wet boiling point of 417 degrees Fahrenheit and a dry boiling point of over 500 degrees Fahrenheit. Those are some pretty incredible numbers for any brake fluid. Tests prove that this brake fluid resists air and water buildup even at the very high temperatures where these most commonly occur. That will give you a lot of confidence that you will not have a problem stopping as you are cornering and braking your vehicle during a race. This is yet another very expensive synthetic blend brake fluid. 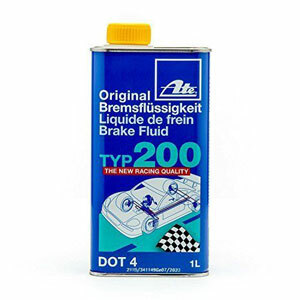 Its biggest drawback is that this very nice performing brake fluid is only recommended for use in a racing vehicle, so it cannot be used in the everyday car that you drive. This is another fine brake fluid product from Motul that will work fine in any car braking system that requires DOT 5.1 brake fluid. This is one of the few non-synthetic brake fluids on our review list but don’t mistake that for not being a good one. It is an excellent brake fluid for cars that drive under normal conditions. It is a brake fluid that will work on any car that can use DOT 5.1 brake fluid but it works exceptionally well in most German made cars. We have looked at some pretty expensive brake fluids on this list and many of them are much higher quality than you need in your vehicle for regular use. This brake fluid is much more reasonably priced than many of the others on our review list. 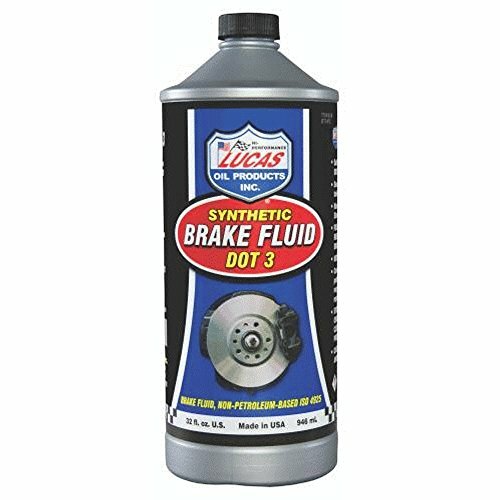 We tend to favor brake fluid that is a synthetic blend in most cases; this one is not a synthetic blend. 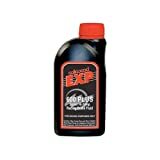 This product can cause big problems with your brakes if you have synthetic blend DOT 5 fluid in your system and it is not completely drained and bled out before you use this product. Many race cars do not use antilock braking systems but there are some like those that race in touring divisions that do have them. This means they need a brake fluid that is compatible with ABS braking systems, yet still, holds up well under high heat conditions. Well, that is why Throttle Muscle designed this high-quality brake fluid. This brake fluid can be used in any brake system that calls for DOT 3 or DOT 4 brake fluid. It fights against vapor absorption and seal breakdown very well. One thing that jumps out at you is the exceptional price point for this brake fluid considering how well it works. It is a rare synthetic brake fluid that can be used with all disc brake, drum, and ABS braking systems. This product is really good but if you have a high-performance vehicle or race the car you are putting brake fluid in, then you should use a brake fluid with a much higher wet and dry boiling point than this one. 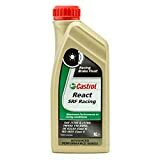 Castrol products are high-quality oils and fluids that are developed and improved through extensive testing and by using them on the track in all different types of racing vehicles. That is exactly why this Castrol brake fluid product is so exceptional in many ways. This product works well in most cars and in just about any light trucks brake systems. It will help prevent vapor lock and it takes an extremely high temperature to boil it out. 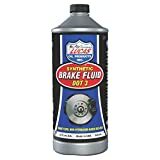 This is a very fair priced product for what you get; you can’t beat it for a synthetic blend brake fluid that is ABS compatible. It is a brake fluid that easily exceeds all Dot 3 and DOT 4 brake fluid requirements. Do not use this product if you are one that likes to race your vehicles on or off road. The only exception to that is if you have a racing vehicle that has an antilock braking system. This is a 12 pack of the product and many people will not use that much replacement brake fluid in their lifetime. 12. 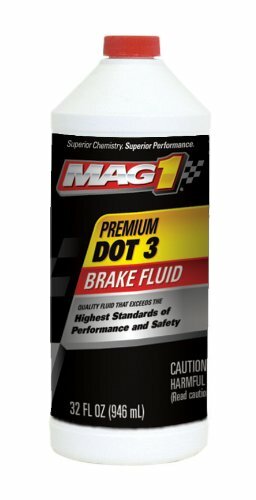 MAG1 120 Premium DOT 3 Brake Fluid – 32 oz. This is an exceptional DOT 3 brake fluid that will serve most cars very well that are driven under normal driving conditions. MAG1 has come up with a very good brake fluid here that is compatible with most antilock braking systems. If you are looking for a brake fluid that provides you with a higher than required margin of safety, then this might just be the perfect brake fluid for your everyday car. We like the fact that this product comes in a very generous size. Its 32-ounce size is bigger than what many other products on our review list come in. The price for this large amount of brake fluid is also very good. Although this is a really good brake fluid, we cannot recommend it for use in high-performance vehicles or racing vehicles that need DOT 3 brake fluid. Be safe and go with a high-performance brake fluid that has a much higher wet and dry boiling point. There are many things in this world that work based on principles of hydraulics and your vehicle’s brake system is one of them. Hydraulics is described as the conveyance of fluids under pressure used to produce an action or for purposes of control. In your car’s brake system it’s the brake fluid that is the means of conveyance that controls your car’s stopping power. The harder you press on the brake pedal in your car the faster your car stops in most cases. So without brake fluid, there would be no pressure to activate your brakes, which in turn means your car will not stop. It is very easy to see why brake fluid is an important catalyst to get your car to stop when you need it to. You may also like: What Are The Best Brake Pads? How Does Brake Fluid Work? We mentioned that brake fluid plays the role of the fluid that makes the hydraulic brake system in your vehicle work. How does it do that? I will try to explain it in Lehman’s terms because it is something that is pretty technical in nature and we would need a whole article on it alone to explain it. Your brake fluid reservoir and brake lines have a certain amount of brake fluid in them that should remain constant under most normal conditions. When you push on your brake pedal to stop it causes a mechanical piston-type action in what is called the master cylinder. This type of piston-like action starts to put pressure on the fluid in your brake line which forces it to move. As it moves, the brake fluid under pressure will eventually get to the mechanical brake parts near your wheel and activate them. This, in turn, puts pressure on the wheel and eventually forces your car to come to a stop. 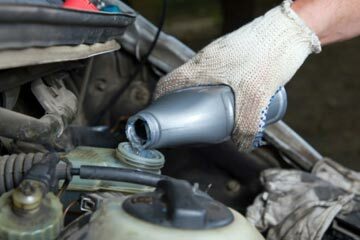 Without brake fluid, there would be no pressure on the brake parts and you would not have any way of stopping; that is why brake fluid is such a critical component to properly maintain on any vehicle. Many people ask why it is necessary to change the brake fluid. After all, it’s in a sealed line where in most instances it has no way to escape or get contaminated with dirt. This is a good point so let’s try to clarify this a little. Many people will open up the reservoir that stores the brake fluid and see that the fluid has not changed in color any; they then assume it must be ok. Keep in mind that checking your brake fluid is not like checking your oil because you can’t see what is hurting it in most cases. That does not mean it does not need to be changed, though. Brake fluid has its effectiveness reduced over time because it is what is known as a hygroscopic fluid. That simply means it has a tendency to absorb water. 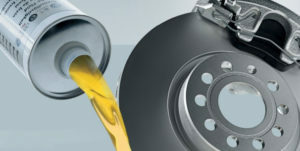 Your brake system although sealed can still pull water from such places as the thin membranes in the brake system seals. Moisture in your brake line can cause big problems if it builds up to high enough levels. So how do you know when to change your brake fluid? The answer is simple; read your owner’s manual. It will either give you a figure in calendar months or in miles driven that you should change your brake fluid at. This schedule is something that you want to be very strict about. How Do You Check Brake Fluid? Checking your brake fluid is pretty easy in most cases. You just have to find the brake fluid reservoir that is located under the hood of your car. These are usually plastic container type devices that are located in plain sight on the driver’s side of the engine compartment and clearly marked. Once you find the brake fluid reservoir in your vehicle, carefully take off the top of it. On the side of the brake fluid reservoir, there will be a marker to indicate the level the brake fluid should be at. If the brake fluid is lower than that level then you will have to add fluid to it. While you are checking the level of the brake fluid also check for contaminants in the brake fluid and discoloration. Professional mechanics can even do other tests to tell if your brake fluid needs to be changed. You will notice when you are shopping for brake fluid that there are 4 main types. Some are similar but there are at least subtle differences between all 4 types of brake fluid. Here are some quick details about each type of brake fluid. DOT 3: This is a brake fluid that is poly glycol based. It has a wet boiling point of at least 140 degrees Celsius and a dry boiling point of at least 205 degrees centigrade. This brake fluid will absorb moisture at the rate of about 2% of its volume in one year’s time. It is primarily used for vehicles that do what is considered to be normal driving. You have to be careful with it because it’s strong enough to eat the paint off of your vehicle. You can safely mix it with DOT 4 and DOT 5.1 brake fluids. DOT 4: This is another brake fluid that is poly glycol based. It has a wet boiling point of at least 155 degrees Celsius and a dry boiling point of at least 230 degrees centigrade. This brake fluid will also absorb moisture at the rate of about 2% of its volume in one year’s time. It is recommended for use in bigger vehicles and for vehicles that are driven at higher altitudes which cause a reduction in boiling points. You have to be careful with it because it’s strong enough to eat the paint off of your vehicle. You can safely mix it with DOT 3 and DOT 5.1 brake fluids. 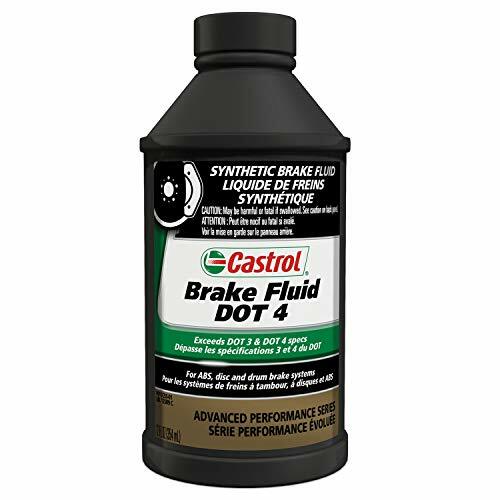 DOT 5: This brake fluid is a synthetic blend that is largely silicone based. It has a wet boiling point of at least 180 degrees Celsius and a dry boiling point of at least 260 degrees centigrade. This brake fluid will not absorb moisture but that can lead to pockets of moisture in your brake line that can cause corrosion. UNDER NO CIRCUMSTANCES CAN IT BE MIXED WITH ANY OTHER TYPE OF BRAKE FLUID; THIS CAN LEAD TO DISASTER. This brake fluid may also not be used in cars with antilock brake systems. It is often used in high-performance vehicles such as race cars. DOT 5.1: This is another brake fluid that is poly glycol based. It has a wet boiling point of at least 180 degrees Celsius and a dry boiling point of at least 260 degrees centigrade. This brake fluid will also absorb moisture at the rate of about 2% of its volume in one year’s time. It is recommended for use in racing vehicles and high-performance vehicles that have ABS braking systems. You have to be careful with it because it’s strong enough to eat the paint off of your vehicle. You can safely mix it with DOT 3 and DOT 4 brake fluids. What Is The Difference Between DOT3 And DOT4 Brake Fluids? 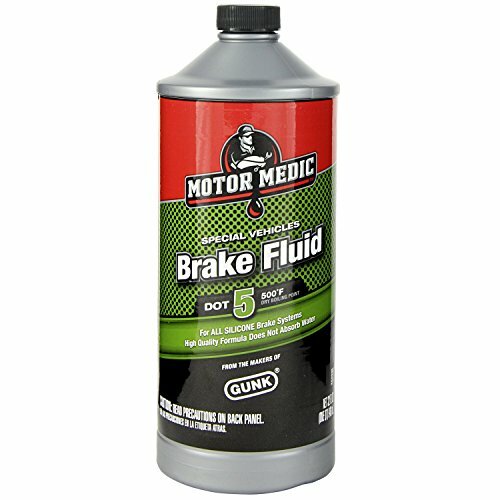 There is not a whole lot of difference between these two types of brake fluids. They have a slightly different chemical makeup is all. The main difference as far as performance is concerned is that DOT 4 brake fluid has a slightly higher wet and dry boiling point. This makes it ideal to use in certain situations such as increased elevation and on vehicles that have bigger brake systems. The first thing to remember when changing your brake fluid is that DOT 3, DOT 4 and DOT 5.1 brake fluids are all compatible. DOT 5 brake fluid is not compatible with any other types of brake fluid as previously mentioned. The easiest way to change the brake fluid in your reservoir is with an old turkey baster. Use it to get as much fluid as possible out of the cylinder. Once this is done, then fill the reservoir back up to the proper level with new brake fluid. It is best never to save old brake fluid for reuse. Dispose of the unused portion properly. To do a complete brake fluid change requires the brakes to be bled when the job is finished. For safety reasons, this is always best left to professional mechanics. Well, hopefully, you are better informed now that there are different qualities of brake fluid in the auto products marketplace. Brakes are nothing to play around with, so get the best brake fluid that is compatible with your vehicle’s type of braking system. When you are shopping for brake fluid you must also know the type of brake fluid that your car’s manufacturer recommends (ex: DOT 3, DOT 4, etc…) and be aware that you should never mix different types of brake fluid together because the results could be disastrous. When in doubt ask your local auto parts supplier or the dealer where you bought your car what brake fluid they recommend. We hope you found brake fluid reviews useful and welcome your comments. Perhaps it’s due to my long stint with German cars, but ATE is heads above the other brake fluids here. I wouldn’t mess with any of the other ones.